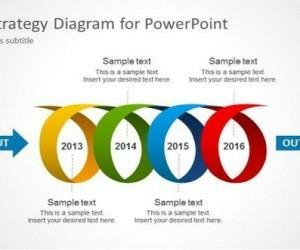 Some PowerPoint templates have infographic layouts and slide designs which can be useful for making a presentation on any topic. 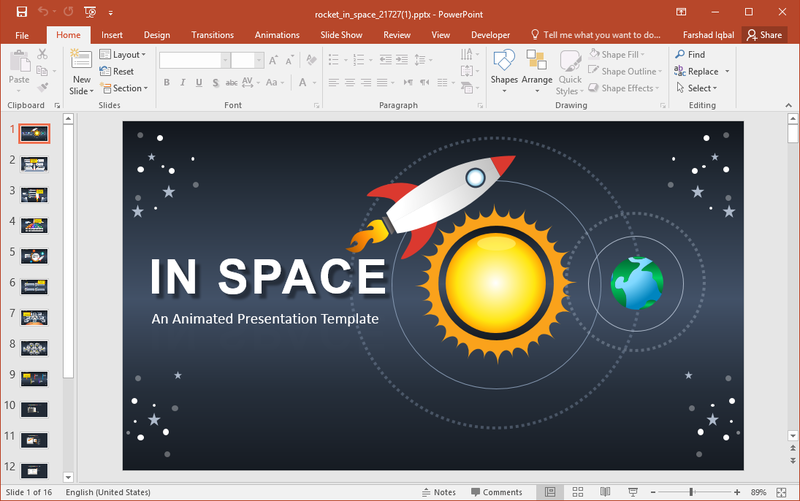 One such template is the Animated Rocket in Space PowerPoint Template. 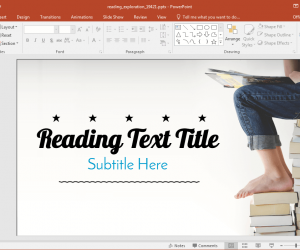 While the template has a space theme, this is by all means a general-purpose template which can be customized for various presentation topics. The men in space suits make up for visuals that can help grab audience’s attention to keep them interested in your presentation. 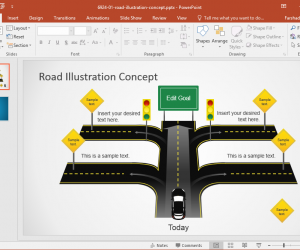 The template has infographic slides to enable better explanation of key concepts. You can edit the text-boxes to add information in a systematic manner to make it easier for your audience to grasp complex concepts. You can also use this template for discussing space, the solar system, space exploration and other similar topics. The template can be a great resource for teachers to discuss the aforementioned topics in a class lecture. 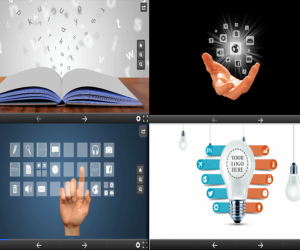 On the contrary if you’re a business professional, you can customize the infographic slides to discuss relevant information in systematically organized content. 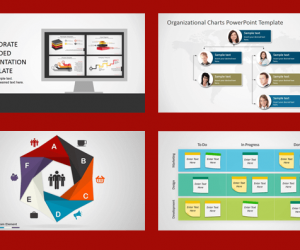 This animated template is also suitable for making timelines, roadmaps and custom diagrams. 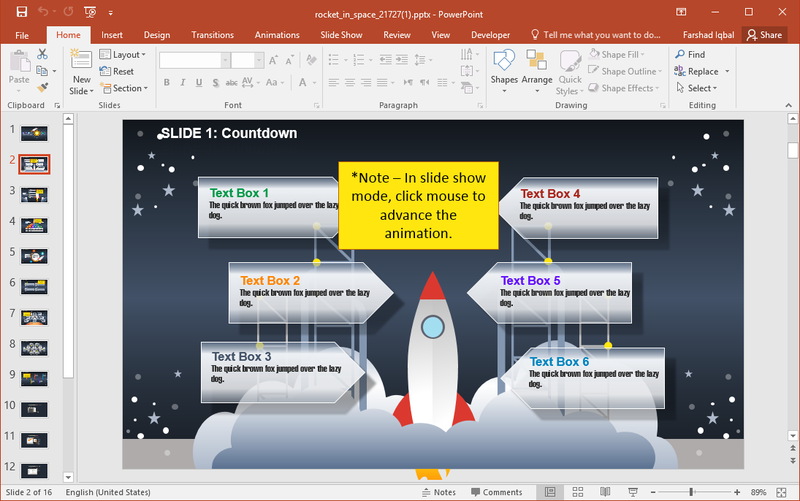 The slides come with some default animations, making your added content catchier once it’s played with the animations in slideshow mode. 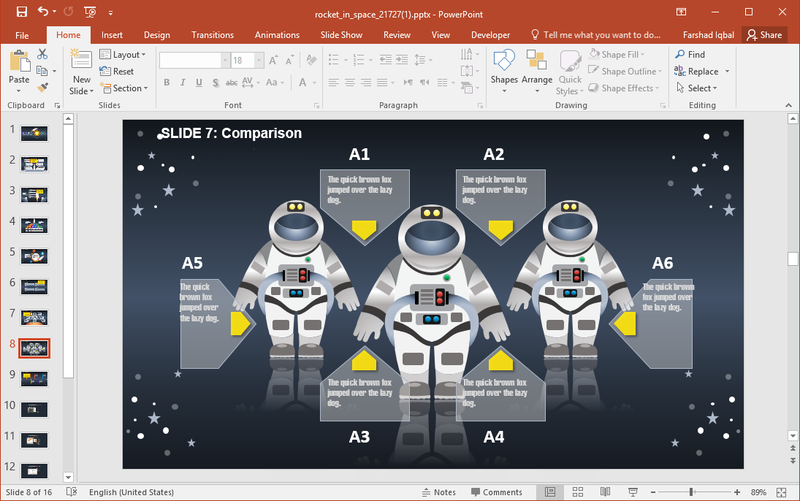 The tooltips in slides provide editing instructions to help you customize the shape, size and colors of the slide elements. You can also get some ideas from the few slides at the end of the template which act as a tutorial for customizing the default slides. 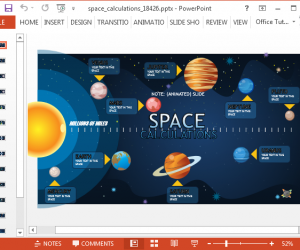 Be it space or any topic which requires custom diagrams and infographics, the Animated Rocket in Space PowerPoint Template can be quite handy for creating slides based on complex ideas.